Smoked salmon and raw is not for pregnant woman, but now that I have my little new born sleeping on my lap I can eat all the raw and smoked salmon I want. This was one of the dish I made this month with food I have been avoiding for the past 9 months. Smoked salmon is very popular in Iceland, and so is gravlax – cured salmon. I need to make that soon and give you the recipe. But until then here is an awesome recipe for smoked salmon. It is originally made with raw salmon but it works so well with smoked one if you don´t have a really fresh salmon. It is a sushi type of dish. 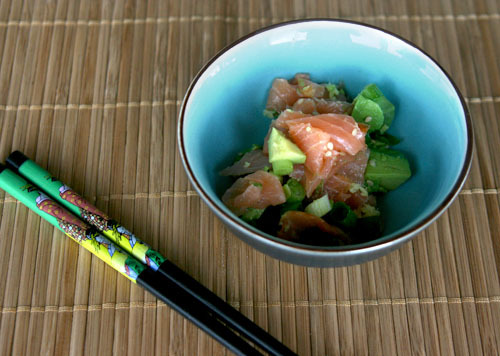 Cut the salmon and the avocado into small bite size bites. Finely chop the spring onion, ginger and the cucumber. Mix it all together and divide into individual bowls and add the sesame seeds, a teaspoon or so into each bowl. Serve with pickled ginger, wasabi and soy sauce on the side. If you got some caviar that would be a nice addition. 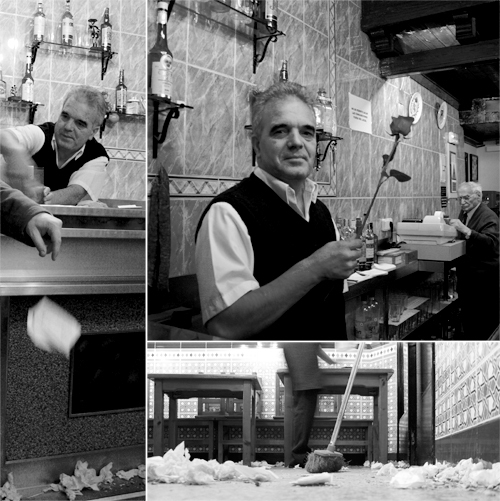 I used to live in Madrid and I love the tapas bars there. 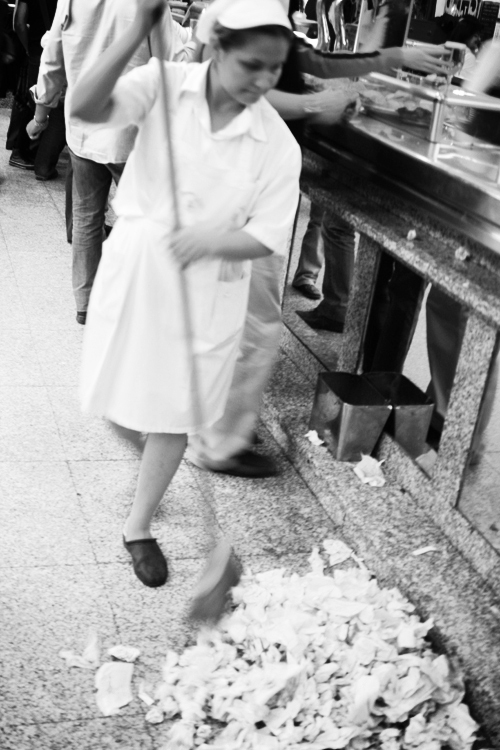 The napkin culture is one of a kind, where people throws the used napkins on the floor. you just had a baby? congratulations!